The Cairns section of the Great Barrier Reef is internationally famous for its prime black marlin fishery. What should not be overlooked however, is the incredible array of light tackle sportfishing options. Almost every species of Pacific game fish inhabit the plankton and bait fish rich waters off Cairns, adjacent to the reef and continental shelf. 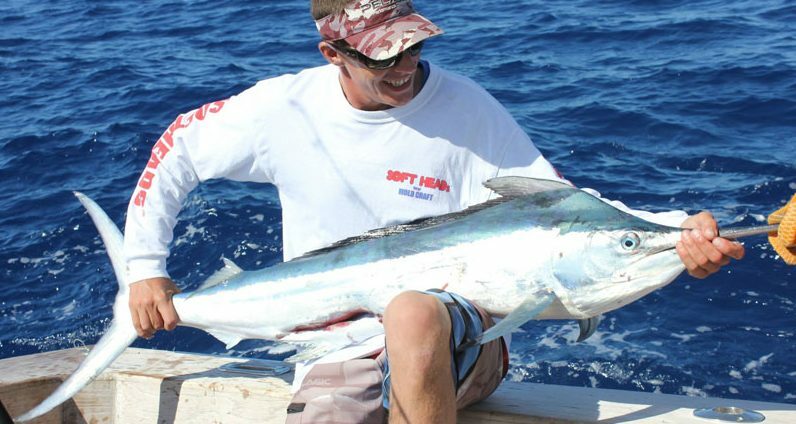 Imagine trolling rigged baits or deep diving minnow lures for the likes of small marlin, wahoo, spanish mackerel, yellowfin tuna, dolphin fish (Mahi Mahi), barracuda, scaly mackerel, various trevally including GT’s and sailfish. Seasons apply (refer chart). On the right tackle, 12-20lb test, these tropical speedsters offer exceptional sportfishing opportunities. You are in prime company indeed. Bluewater Fishing includes Inshore (close to the coast), Wrecks i.e. sunken boats, Trolling, Jigging as well as Lure Fishing & Popper Fishing with surface lures. 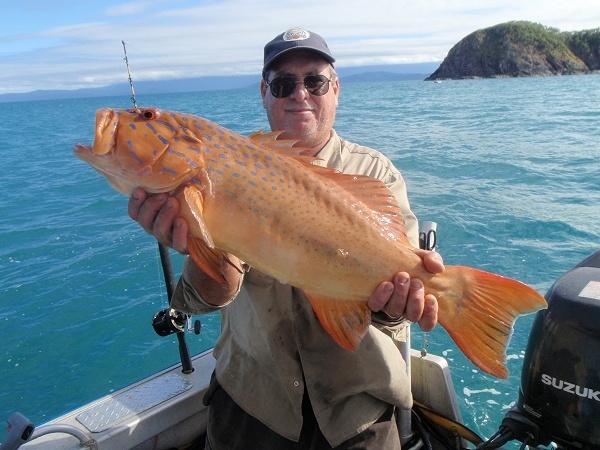 Quality sport fishing charters around both Cairns and Port Douglas in Far North Queensland. A completely personalised service is guaranteed as only sole charters are booked so you get to fish where and how you like. 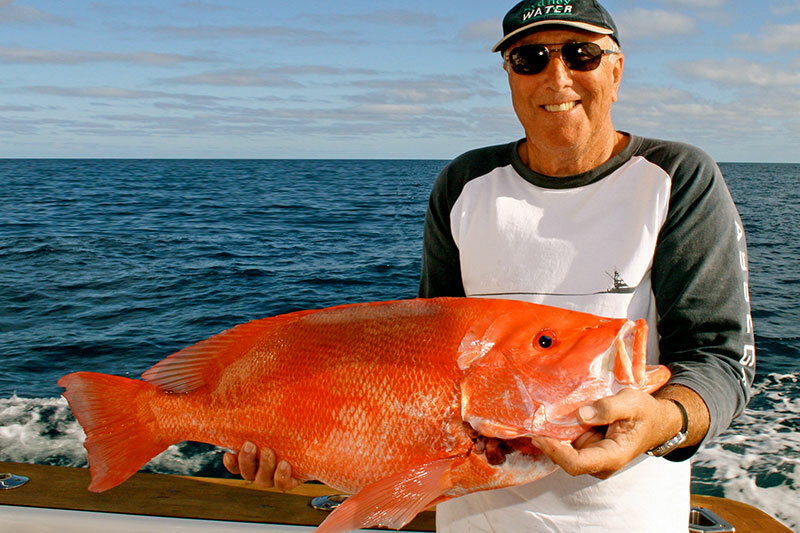 Whether you want to fish on the Great Barrier Reef or one of the tropical North’s estuaries or rivers, an exclusive charter can be designed just for you. Charters arranged to target the species you want, whether it’s catching fast running, heavy hitting pelagic sport fish such as the Giant Trevally , or other species available at the time. In need of some ‘REEL THERAPY’ – Enjoy fishing on the fringing coastal reefs catching the famed coral trout, nannygai and pelagic fish including Spanish mackerel, cobia, queenfish, trevally and tuna. Or fish the Port Douglas estuary and pull in an elusive barramundi, mangrove jack, fingermark, tarpon, blue salmon or queenfish. Your guide will be there to offer all their expertise; with live bait fishing and their knowledge of the eco system that surrounds this amazing area. In addition to the great fishing, crocodile and bird spotting is a possibility too.